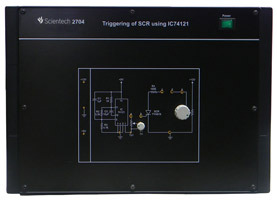 Scientech 2700 High Voltage Power Electronics Lab is a compact, ready to use experiment workbench. 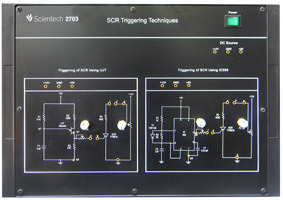 In this particular workbench there are various applications and experiments of Power Diode and SCR on the workbench with different load configuration. 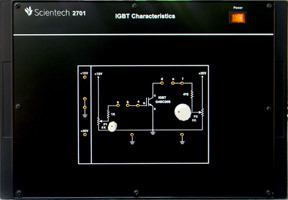 Scientech 2700 High Voltage Power Electronics Lab covers the principles and operation of Single Phase and Three Phase Thyristor control circuits. 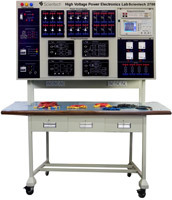 Scientech 2700 High Voltage Power Electronics Lab has economically designed in vertical position and with sufficient space for working, this workbench is available with table and without table.